Fortunately, brisket is pretty well known as "beef brisket". 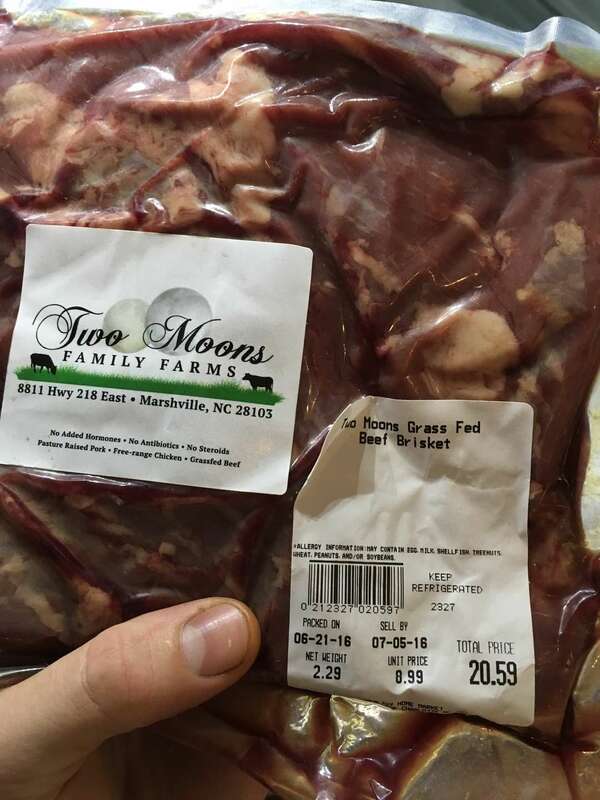 I went with a small 2+ pounder to begin but this recipe will work for anything that can fit in your grill. 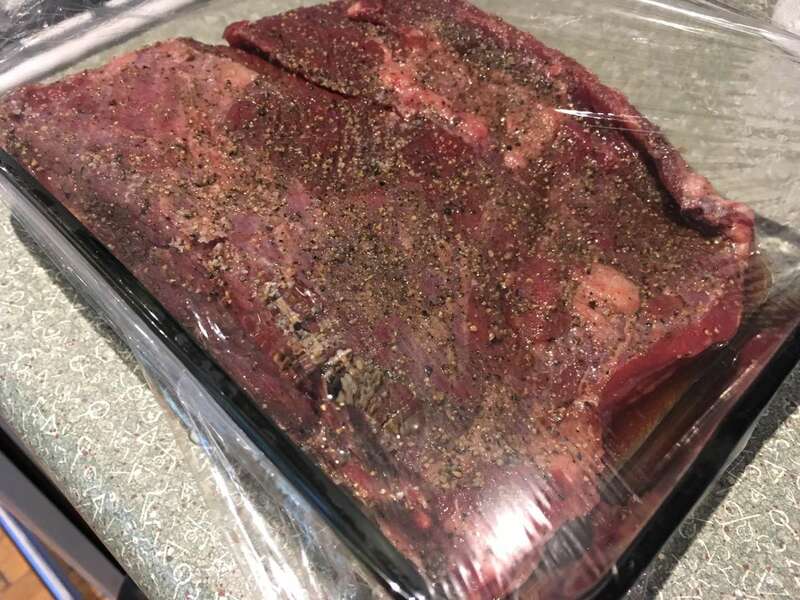 Using just kosher salt and pepper, cover the meat entirely and massage the mixture into the brisket. When it is fully covered, wrap it in plastic wrap and put the meat in the refrigerator for an hour. 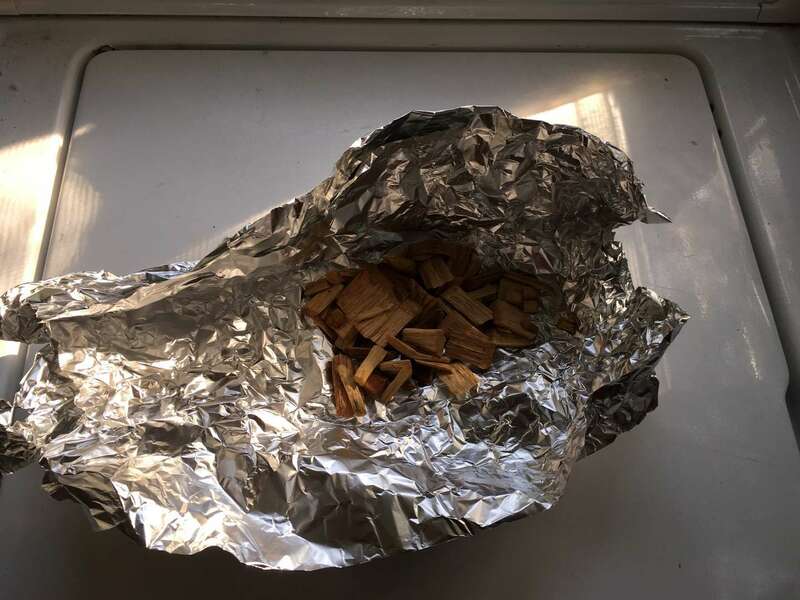 Wrap some of your wood chips in a foil pouch. Many people recommend soaking the wood chips but I do not and don't believe it makes a difference. 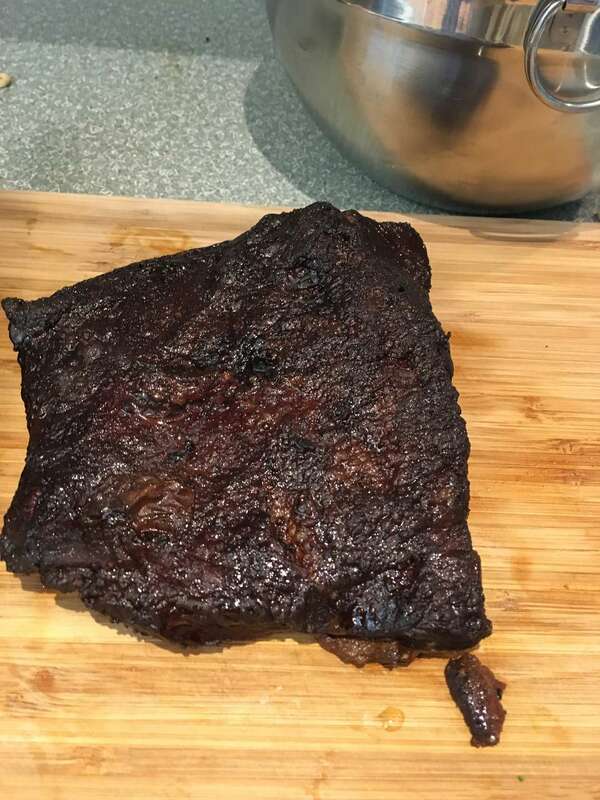 I made about 10 because they seem to last about 30 minutes and my small brisket only took 4 or so hours. Adjust accordingly. 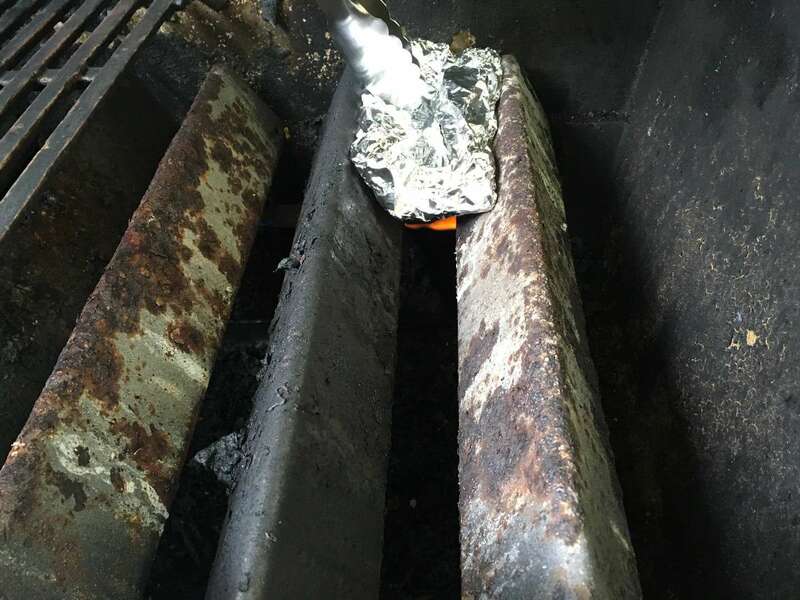 Put the smoke packet underneath the grates in your grill but on something other than the direct burner. Turn heat on to medium. This heats the wood enough to smoke but not burn. 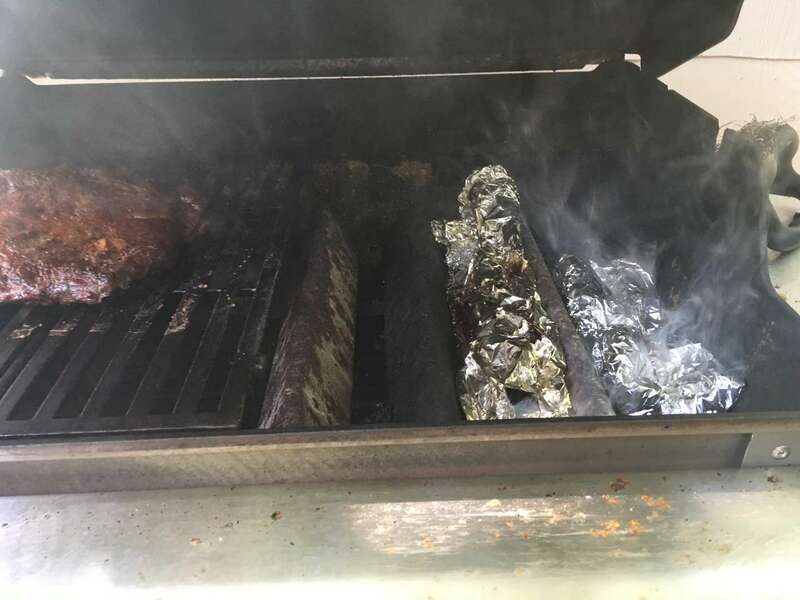 Once smoke is getting pretty heavy, it's time to place the meat on the other side of the grill. Make sure the burners underneath the meat are as low as they go. Monitoring the temperature inside your grill is the only way to make sure your meat does not overcook. I keep the temperature as close to 250F as possible for brisket. Measure the meat with a thermometer and smoke until the meat reaches an internal temperature of 195-205F. This ended up taking my brisket about 4 hours. Yours may take significantly longer but should not take much less time. 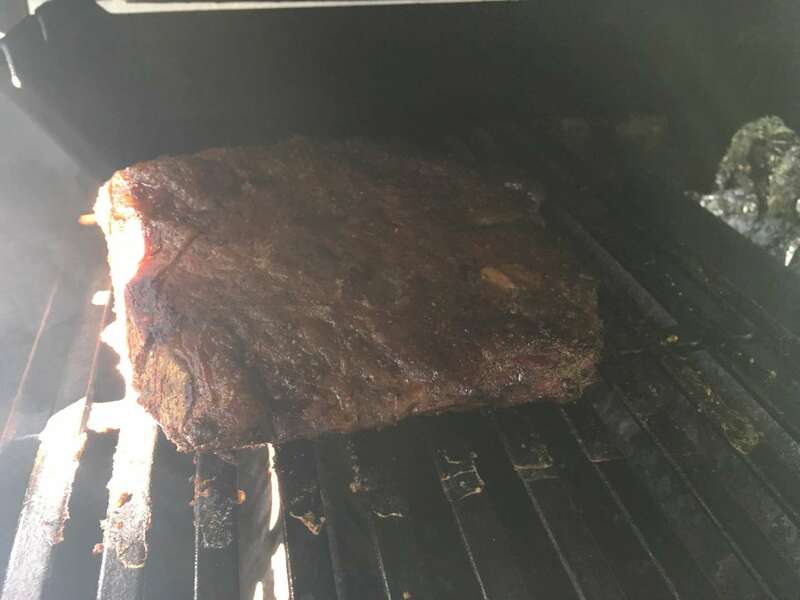 Once you're done smoking, let the brisket rest for at least an hour. 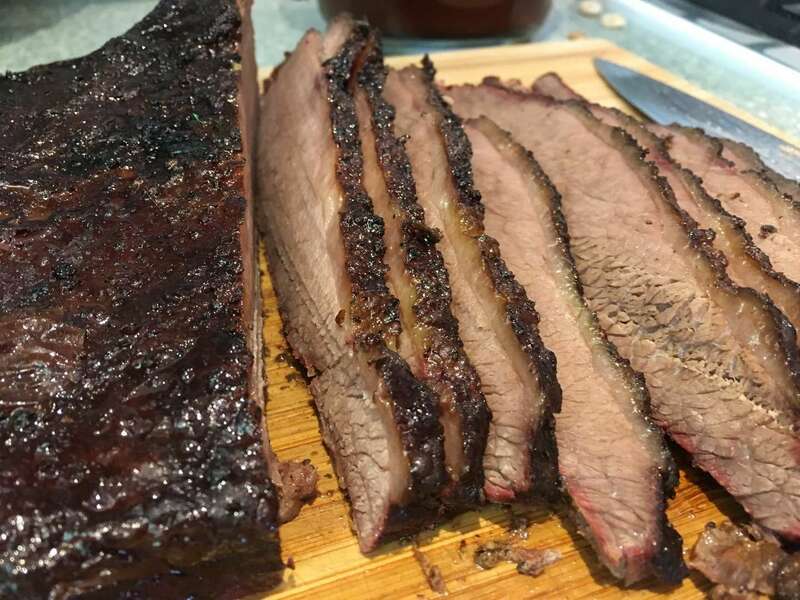 Overall, I feel a smoker would do a better job and be less maintenance but for a once in a blue moon dish, the gas grill produces a very good brisket.